We help individual clients design their goals for retirement by providing personalized financial planning, high-quality investment insurance products, and exceptional customer service. Our planning process starts by getting to know you, your family, your goals, and unique financial situation. Once we have established the basics, we will build a long-term financial strategy that is based on your preferences, values, and goals. Our plans are designed to be durable enough to last for the long term, but flexible enough to adjust to changes in the market and in your circumstances. Our goal is to be your trusted Wealth Manager for every stage of your life. We focus on delivering an exceptional client experience in everything we do. 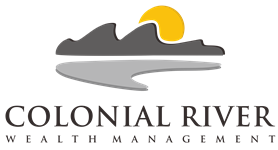 If you have been served well by Colonial River, we hope you’ll spread the word and help us serve others.